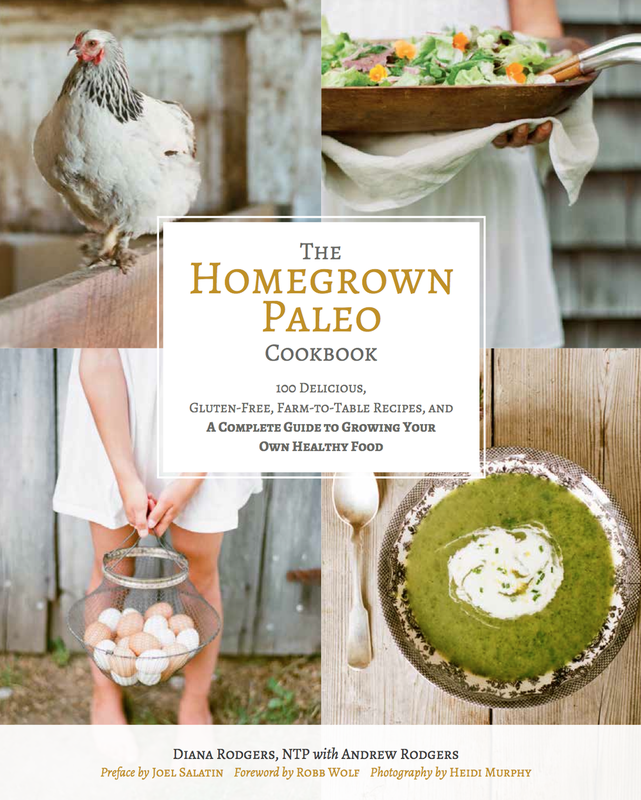 When a book has a preface written by Joel Salatin, of Polyface Farm, a foreword by Robb Wolf, New York Times Best Selling author of The Paleo Solution and endorsed by the likes of Michelle Tam, Allan Savory, Emily Deans, Andrew Gunther, YOU CAN ASSUME that it is a fantastic book! There are over 100 delicious Farm-to-Table recipes and the book is filled with gorgeous photographs. The last quarter of this huge book, called “Basic Cooking Methods and Recipes,” contains pages with photos labeled with topics like, KOMBUCHA, KEFIR, FISH & MEAT STOCKS, HOW TO MAKE MAYONAISE, BBQ SAUCE, CRÈME FRAICHE, HOW TO RENDER LARD,, MAKE BUTTER, CAN TOMATOES AND COOK MEAT. There are “how-to’s” on the preparation of stocks, soups and stews, meats, and the care of cast iron skillets and pots. The section on LIVING is the capstone to this beautiful and oh-so-useful book. You’ll come away with useful info for homesteading whether in the city, the country or the burbs! How the Paleo Diet is not only great for human health but also for the environment. Helpful guides like “10 Questions to Ask Your Farmer” so that you can be a better-informed food shopper. Skills and knowledge to have your own backyard chickens, goats, bees and more. How to build healthy soil and start your own organic vegetable garden. 100 seasonal, farm-to-table recipes, all photos shot right at the farm. Newer PostBOOK REVIEW: What Would Buddha Say?